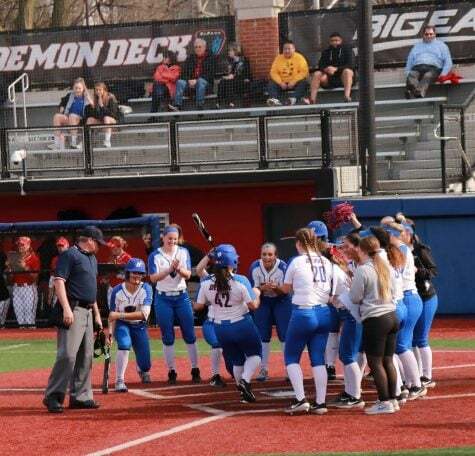 Mother nature got in the way of the Blue Demons squaring off against the UIC Flames at home on Wednesday, but it sure didn’t get in the way of the Blue Demons returning to the win column on Friday afternoon. 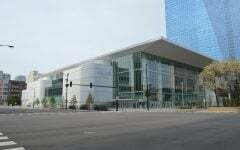 DePaul (25-13, 7-2 Big East) retained its No. 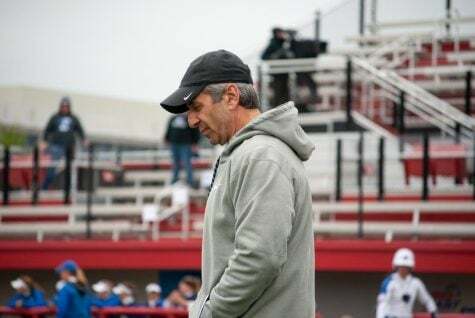 1 conference ranking by sneaking past UIC (20-17, 9-3 Horizon League) 3-1 after not having competed since their three game home series against the Georgetown Hoyas on April 7-8. 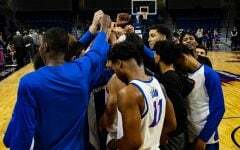 Friday’s win was vital, not only because the Blue Demons lost 2-of-3 versus the Hoyas, but because it provided the momentum necessary for the team to regain its confidence. 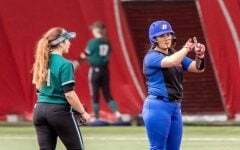 Sophomore catcher and leadoff batter Jessica Cothern proved to be the MVP for the Blue Demons. 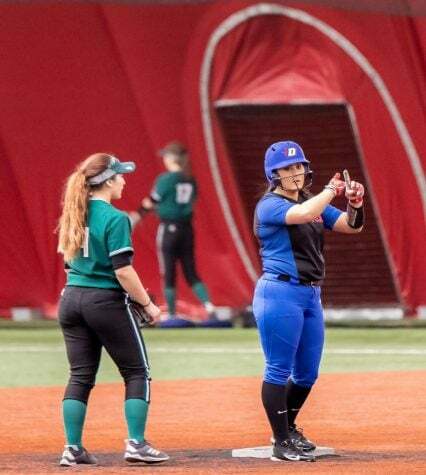 In the bottom of the fourth inning with the Flames up 1-0 and Alysia Rodriguez on base, Cothern annihilated the 1-1 pitch deep to right field for a two-run home run to gave the Blue Demons a 2-1 lead. 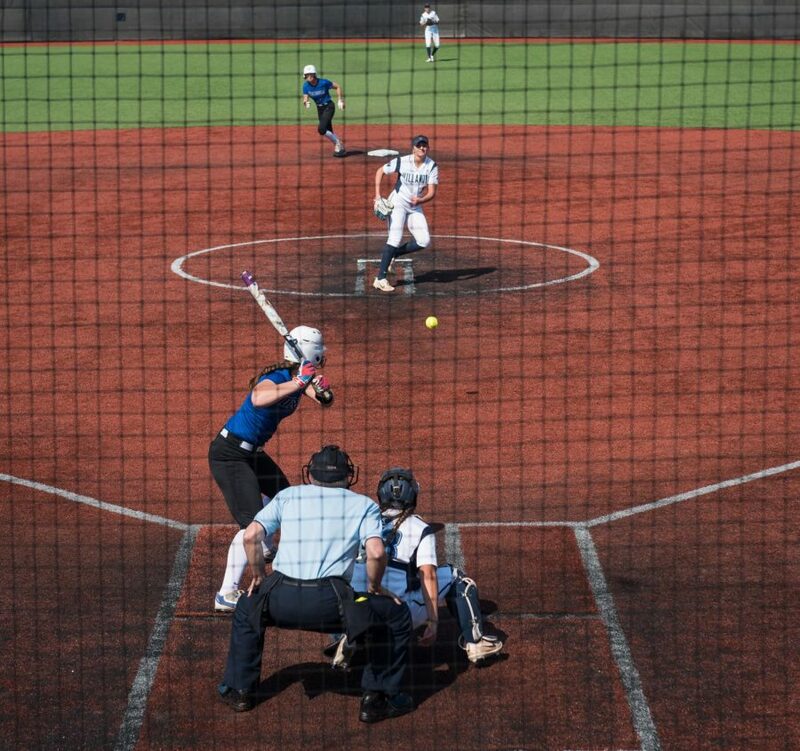 Even though she went yard, Cothern says that wasn’t her goal when she stepped into the batter’s box. 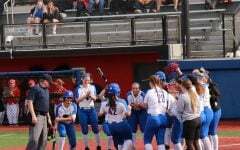 The Blue Demons’ other run came in the bottom of the fourth inning when Megan Leyva crossed home plate from third base on an error that featured Flames’ catcher Alyssa Griman overthrowing third base in an attempt to throw Leyva out. 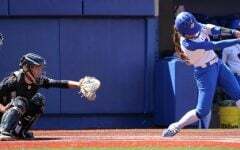 Following Cothern’s home run, the focus for the remainder of the game shifted back to pitching. 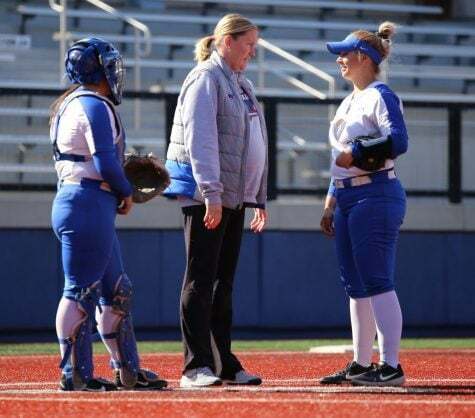 All three pitchers for the Blue Demons equally split two-and-a-third innings on the mound. 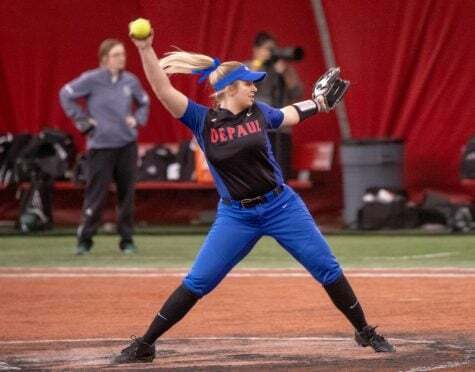 Senior Kennedy Garcia was the Blue Demons’ starting pitcher, but struggled to find consistency in her command and allowed three hits in nine at-bats that included the Blue Demons’ sole earned run in the top of the third. Garcia was then pulled from the game, which allowed for freshman Pat Moore to take on the responsibility of shutting down the Flames. 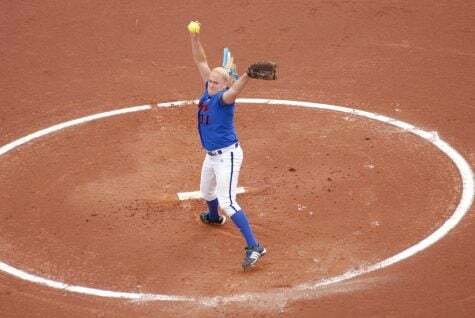 Moore surrendered just 1 hit and struck out two of the seven batters she faced. Once Moore’s time was up, all eyes were on sophomore Missy Zoch to seal the deal, and she did just that. 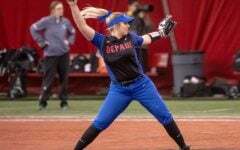 Similar to Moore, Zoch gave up 1 hit, but most importantly had a team-high four strikeouts to cap off her performance. Zoch attributed Garcia’s and Moore’s outings to her success. 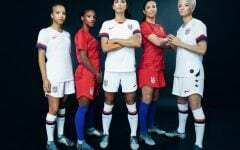 “Knowing that Pat (Moore) did a good job and Kennedy (Garcia) did a good job to start, (…) I was very confident because of how they did, so I think that helped me a lot,” Zoch said. 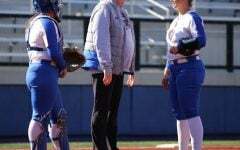 Despite some shuffling in the pitching lineup throughout the game, Lenti mentioned that was his team’s strategy going into the game if the Flames’ offense were to be halted. With this game in the books, the Blue Demons on Saturday welcome the St. John’s Red Storm (17-21, 6-3 Big East), that rank second in conference play, for a three-game weekend series. Love her, dope album. Stuck with Me and Fires and Flames are SO good! !